http://www.line-stickers.com/ – Rakyim: Happy Day + in LOVE + in Summer Line Sticker | Express your emotions and smile with Rakyim. Add Muang Thai Life Official Account and download our Rakyim Stickers for free! Express your emotions with Rakyim and the Gang. Express your emotions with Rakyim and the Gang II. Rakyim, the first 3D stickers in Thailand. Enjoy chit-chatting with your loved ones. Rakyim & The Gang are back and more lively than ever in 3D! Friend Muang Thai Life’s official account to get these stickers. 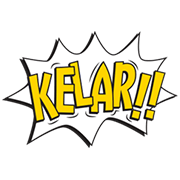 Rakyim is back with new animated stickers, so have fun and enjoy! Download these stickers and smile everyday with Rakyim to find true happiness! Because everyone knows real joy comes from smiling with Rakyim. Friend Muang Thai Lifeʹs official account to get them. 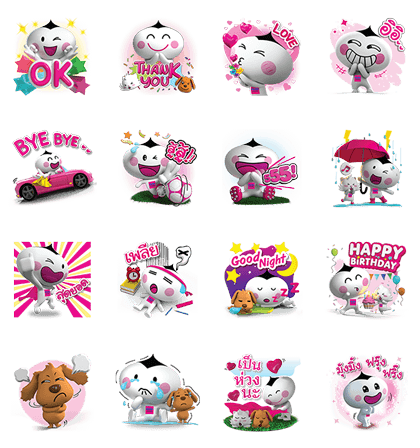 Enjoy these Rakyim stickers with friends and have a happy day with Rakyim & the gang! Friend Muang Thai Life’s official account to get the set! Rakyim & the gang with sound for the 1st time will make you smile all day. Friend with Muang Thai Life’s official account to get them. Rakyim and the gang are coming to cool you down this summer. Friend Muang Thai Life’s official account to get the set. Rakyim returns bigger than ever in this new pop-up sticker set. Friend Muang Thai Life’s official account to get the set. Rakyim & the gang come back to make you smile. Friend Muang Thai Life’s official account to get them. Available till May 10, 2017.